With just twenty days to go until Christmas, I feel like I am scrambling to get my shopping, baking, holiday cards, wrapping and everything else complete in time. Here is one recipe that takes less than 15 minutes to make with minimal ingredients and makes a great item to munch on for guests. Another bonus is that the house always smells like cinnamon when you are done. 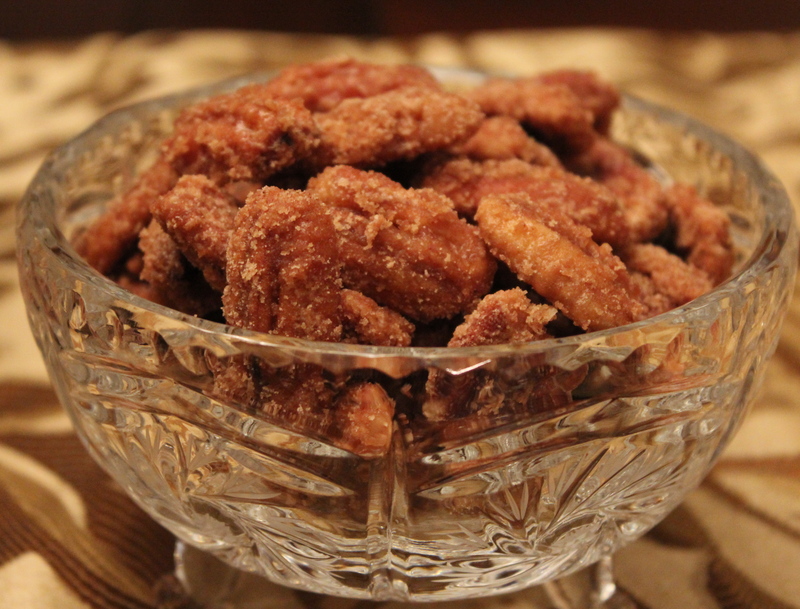 This recipe is for sugar coated pecans and also courtesy of my fantastic grandmother-in-law. (She lets me call her Grandma though.) I love that about her. Sugar Coated Pecans – can be served in a pretty candy dish or sprinkle some on top of a salad with crisp apples or pears and some goat cheese. They keep well in a tightly sealed container stored at room temperature for about two weeks…if they last that long. 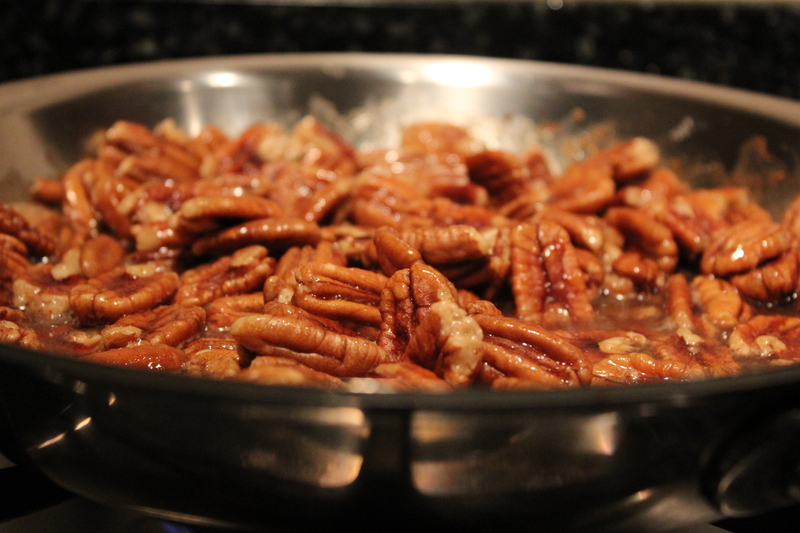 Place all ingredients except the pecans into a frying pan and mix well. Turn on heat to medium-high and add the nuts. Stir continually until all moisture is gone and the nuts have a sugary texture and coating. Take off heat and allow to cool on tinfoil. Good luck! More holiday ideas to come.